Out west, Democratic Senate candidates are emphasizing their independent credentials, running far afield of the presidential race. In the east, Republican Senate nominees are pushing their moderate stances and differences with Mitt Romney. But through swaths of the Midwest and mid-Atlantic, where the Obama and Romney campaigns are running hard, you might say that rising tides lift all boats. Democrats Bill Nelson and Sherrod Brown are running comfortably ahead of Republican opponents Connie Mack and Josh Mandel in Florida and Ohio, respectively. Democrat Tim Kaine is running even or slightly ahead of Republican George Allen in Virginia. And in Wisconsin, the GOP is worried that Tommy Thompson -- the popular former governor who seemed headed for the Senate -- is falling farther behind Democrat Tammy Baldwin. In each of those states, the president has been putting some distance between himself and Mitt Romney in the presidential battle. The question circulating in Republican circles now is does Mitt Romney have to turn his fortunes around in order for some GOP Senate nominees to eke out victories? Romney officials believe those candidates need the national campaign to win, whereas some Senate campaign strategists are trying to figure out how to outperform the top of the ticket and help win control of the Senate. The predicament may lend some validity to the Obama campaign’s strategic decision to drill down in swing states, forcing a choice between political parties in what they view as individual state races, as opposed to the Romney campaign’s broader national effort. The race there is a microcosm of what the Obama campaign has done right, according to strategists on both sides of the aisle, and what the Romney campaign has done wrong. 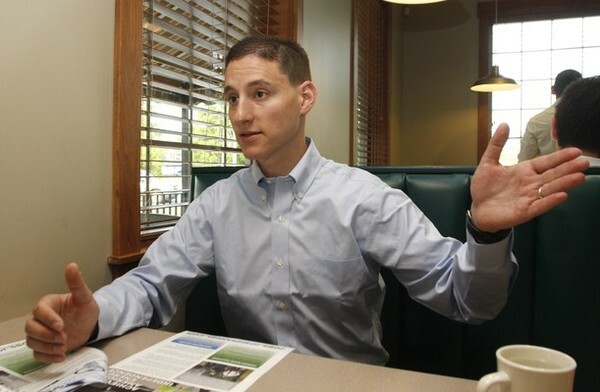 An Ohio Republican not affiliated with the Romney camp noted that the state’s economy has seen some improvement. And while voters understand the difference between gains in the local economy and the lagging overall picture, he said, Romney’s national TV ads that have focused on the poor economy are not resonating in the state. Further evidence that Obama’s state-targeted strategy is working, this Republican said, can be seen in polling results: The president isn’t doing as well nationally or in the states that aren’t seeing a barrage of campaign ads. Indeed, if the current dynamics of the presidential race and a wide array of Senate races hold, 2012 will not be a wave election like the three that have preceded: 2006, 2008 and 2010. Take, for example, a handful of red states that the Obama campaign hoped to put into play four years ago: Arizona, Indiana, Missouri, Montana and North Dakota. Then-Sen. Barack Obama’s team spent money in the latter four soon after he clinched the nomination in hopes of expanding the playing field. Given his opponent’s Arizona roots, they initially opted not to make a play there, but did spend some last-minute cash in the state as the polls tightened ahead of Election Day.